Hello hello! I hope you are enjoying your weekend. 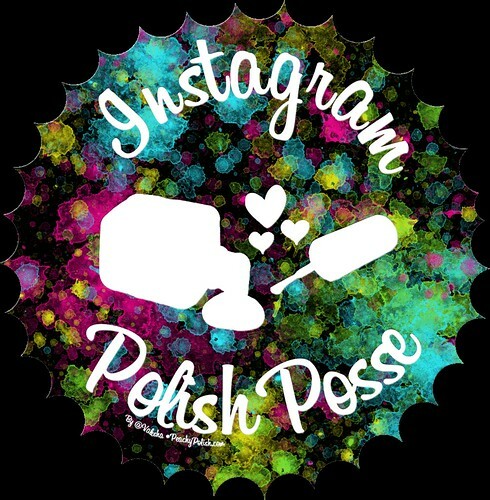 Today I have a boatload of polishes from Pahlish to share with you! Take a look! Valve House has a charcoal gray jelly base with purple and orange glitters, holographic and purple shimmer. This is the newest color in Pahlish’s new series of charity polishes. The charity polishes each month will be limited edition and $2 from every bottle sold goes to a charity picked for the month. For the month of September $2 from each bottle of Valve House that is sold, will go to benefit Friends Of Radnor Lake (Nashville, TN) which goes to “protect, preserve and promote the natural integrity of Radnor Lake”. I did 3 coats. Hoods, Leaves and S’mores has a deep olive green jelly with copper, green and silver flakies, purple and iridescent shimmer. 2 coats. Pumpkin Patch has a burnt sienna jelly base with holographic shimmer, copper flakies and orange iridescent glitter. 2 coats. Cinnamon Apples has a red jelly base with pink and copper shimmer and copper and multichrome flakies. 2 coats. Cozy Sweater has a purple base with multichrome flakies, pink shimmer and iridescent glitter. 3 coats. El Topo Petit has a milk chocolate creme base with reddened copper shimmer. 2 coats. Breath In The Air is a super grayed out violet creme. 2 coats. Hang Like A Star has chrome flakies, holographic and purple shimmer in a clear base. One coat over Breath In The Air. Overall: I aboslutely love dark greens during the Fall. Army green, olive green, forest green… I will take them all! So Hoodies, Leaves and S’mores is calling to me. Plus, that name! It has me feeling so cozy! As a whole, all of these polishes are lovely. I found the Ode To Fall collection to be on thick side but in a good way. I can’t wait to see what Pahlish has in store for October! I read this article and found it very interesting, thought it might be something for you. The article is called Pahlish: September 2016 Charity Polish, Ode to Fall Collection, El Topo Petit and Something Vague Duo Swatches & Review and is located at http://www.peachypolish.com/pahlish-charity-polish-ode-fall-collection-el-topo-petit-something-vague-duo/.